› DIY Printing Tips › Case Studies › Your Vision. Your Design. Your Bulletin. Throughout the country, many religious organizations rely on outside vendors to print their bulletins. 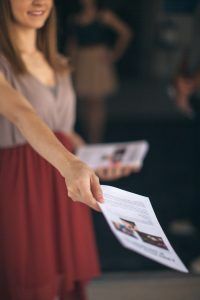 Doing so is attractive in some ways; however, many churches and religious organizations believe it is more effective to print their own bulletins. For example, Community Fellowship Baptist Church of Huntsville, Alabama has now turned to a simpler and more cost-effective solution: printing their own bulletins completely in-house. Many religious organizations have produced their bulletins through outsourced printing for a long time. Until recently, when churches such as Community Fellowship wanted a nice and professional bulletin, they purchased from a company where the bulletins were pre-printed on the front. Through this method they did not have the opportunity for flexibility in their bulletin prints, and sometimes wasted money and time. 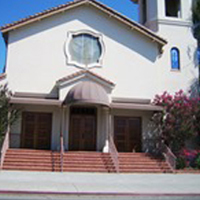 Pastor Jay Schug of Community Fellowship stated, “I didn’t like the graphics on the pre-printed ones, because they changed every week…They also didn’t communicate our church’s vision.” When religious organizations are able to communicate their vision, people may more fully understand the organization’s values. Pastor Jay also struggled with what to do with the leftover pre-printed bulletins. “The other drawback with the pre-printed bulletins is that we wouldn’t print the entire package…and were left with a lot of mismatched leftovers.” He was concerned for the waste of bulletins – for the money loss and the environmental waste. 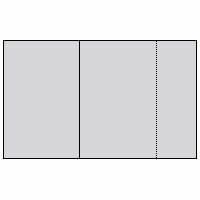 Four major routes exist for bulletin options: one-sided pre-print jobs, online customization jobs, not printing bulletins at all, and print-on-demand forms. Some methods are more effective than others for different religious organizations. With one-sided pre-prints, organizations only have to print part of their bulletin. The downside is they must use whatever graphics are provided to them, not allowing them freedom of expression. Online customizable printing allows organizations to be free of any printing, but this method often requires orders with minimum or odd quantities, which can cause waste. Some organizations go a different route, not printing a bulletin at all. While that method saves paper, members may not stay up to date with current organization events, and visitors leave without a physical reminder of the service they attended. Lastly, many religious organizations now print their bulletins completely in-house. This can save money and allows for complete expression of their values and vision. 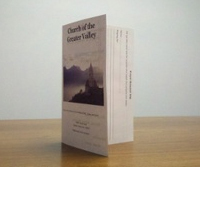 Pastor Jay previously used the one-side pre-printed bulletins, and felt that they didn’t let his church fully communicate its vision. When he looked for a different solution, Pastor Jay found Burris Computer Forms. He ordered free samples to try printing his bulletins in-house. With the test run of printing on his own forms, Pastor Jay found that many of his problems with pre-printed bulletins were solved. He no longer had to use the graphics of the printing companies, but had the freedom to design his own. He was able to save money by only printing what he needed each time, eliminating waste that he previously experienced with pre-printing. And above all, he now communicated his church’s vision the way he desired. Burris Computer Forms offers different choices of print-on-demand bulletins. 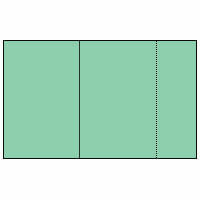 Most bulletins are 8 ½” x 14”; each one comes with a tear-off stub, useful for things such as staff contact information, prayer requests, schedule information, and visitor cards. The bulletins are available with a score, which helps when folding by hand, or without a score, for use with automated folders. In addition to white, Burris offers a variety of colors, including baby blue, classy cream, cool gray, key lime, and wild canary. These options, along with the downloadable template, can make printing on demand affordable, easy, and fun. If the world of printing your own bulletins intrigues you, and you would like to learn more, click here to see Burris’ bulletin selection, or contact Amy at 800-982-3676 (3676) or amy@pcforms.com. You can request free samples with Amy or online, and try printing your own bulletins using the downloadable template! 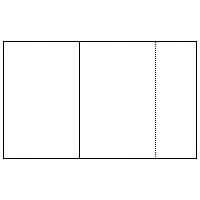 Blank Church Bulletins with Tear Off Stub 5 Ways Churches can Print-Your-Own and Save Money Press Release – Burris Computer Forms® Announces Printable Hangers with Detachable CardsTM 10 Ways to Use a Blank Bulletin with a Tear Off Stub.